The Advent season is a unique time in our fast-paced culture. We spend a whole month looking ahead to one moment, because it's a moment we believe changed the world. We light a new candle on the Advent wreath each week in worship. At home, many of us are opening a new square on our Advent calendars each day. But we also look forward in ways that are more concrete than symbolic. This Advent season at Advent, we've focused a lot of our energy on events that combine festive fellowship with fundraising for our Community Lunch and Food Pantry ministries, so that they may continue serving and supporting our neighbors in 2017 and beyond. Below, check out some of the best moments of the Advent season captured so far, plus more festive events just ahead, and 5 opportunities to worship with us the week of Christmas. So far this Advent season, our congregation has come together for our Christmas Tree & Cookie Sale, "Raising Voices, Feeding Neighbors" Christmas caroling on the steps, and several weeks of Food Instead of Poinsettias -- all supporting our Community Lunch and Food Pantry ministries. Our Sunday School families and teachers presented the Christmas Pageant in 9am worship yesterday, and many have gathered for our Wednesday Evening Worship services with special music and reflections at 6:30pm Wednesday nights. We've captured as much of it as possible to share with you in our Advent season photo album. Check it out! And join us for the remaining Advent season opportunities just ahead, all listed below. 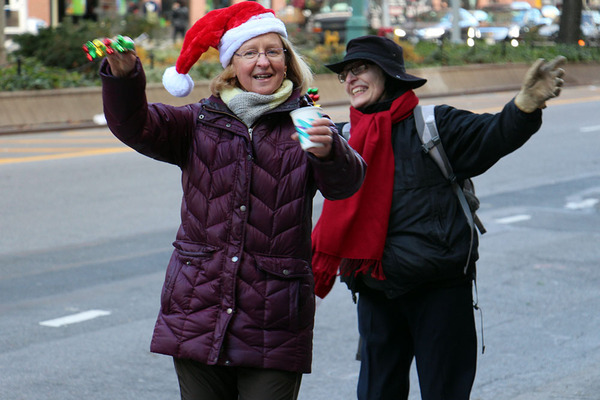 Join our food ministry leaders and volunteers in Christmas caroling on our front steps to raise money for our Community Lunch and Food Pantry. One chance left to join us in Christmas caroling for a cause! We sang our favorite carols out on the church's front steps yesterday and had a wonderful time. We'll go out one more time this Saturday, December 17 from 1-2pm. Join us! Contact Kathy at kathc89@gmail.com to RSVP or learn more. Our Sunday School and Adult Conversation will join to decorate ornaments during the 10am hour this Sunday. 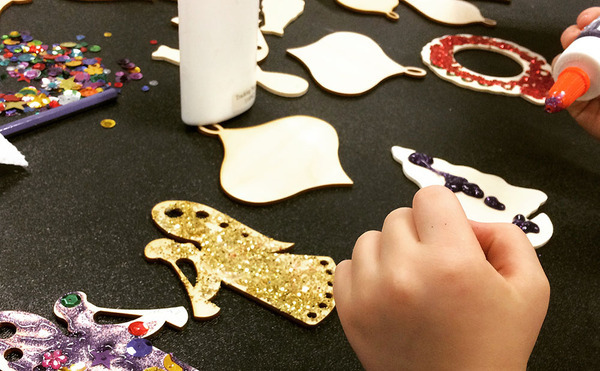 Join us for this festive craft project bringing together Advents kids and adults! Pastor Mills cuts these wooden ornaments himself, and you'll get to decorate them yourself -- making these ornaments a special addition to your Christmas tree each year. You're invited to bring along a holiday snack to share too, if you're able. At 12pm this Sunday, join us for our annual Santa Lucia Celebration. Come see one lucky Advent congregant wear the crown of candles at this traditional Swedish celebration during Advent. We'll have traditional Swedish food too. Instead of collecting donations for poinsettias during the Advent season, we collect donations of canned and nonperishable food and money supporting life-sustaining food ministries. Throughout December, we invite you to bring any canned or nonperishable foods to worship on Sunday or to our office between 10am-5pm Monday through Saturday. We'll add it to decorative containers at the front of the sanctuary as an offering. At the end of the Advent season, all food offerings will be shared with 100+ neighbors in our community at our Food Pantry. If you'd like to make a monetary donation, mark your check or envelope "Food Instead of Poinsettias" and place it in the offering plate at worship. All monetary donations will be divided between our own food programs and ELCA World Hunger, so we can make an impact here and abroad. These gifts to support our food ministries can be given in honor or memory of a loved one and will be printed in the Christmas Eve worship bulletin. 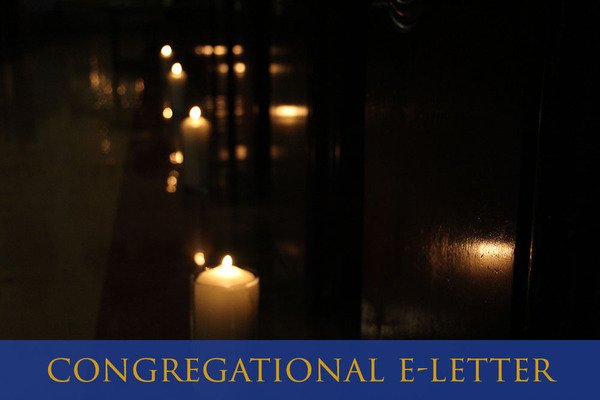 The form can be downloaded here to mail to church, and is also available at the back of the sanctuary. Additionally, you can make a person out at sea on Christmas Day feel the warmth of Christmas by putting together a care package for Seafarers and International House. Click here to download instructions for putting together a care package. You can drop off your care package in the collection box on the back table in the sanctuary. Mark your calendars for our Three Kings Celebration at 12pm Sunday, January 8! This is an awesome opportunity for our English-worshiping families and Spanish-worshiping families to celebrate part of the Christmas story together, so come take part. The Three Kings Celebration is a tradition in many Latino cultures. Here at Advent, it includes a big potluck lunch for all, a piñata filled with candy for the kids, a special cake, the singing of traditional songs, and a visit from the three kings (yes, we've got the costumes). It's going to be a lot of fun! Join us! Augusta Victoria Hospital (AVH) in Jerusalem is a hospital run by The Lutheran World Federation and one of our congregation's Missions of the Month. The hospital is the only medical facility in the area capable of providing certain cancer treatments to the residents of Jerusalem and the surrounding areas. 2016 funds allocated by U.S. Agency for International Development (USAID) have not yet been fully released and are urgently needed to avoid any interruption of treatment for West Bank and Gaza cancer patients and other patients served by AVH and other East Jerusalem hospitals. Take action today, before our representatives recess for the holidays later this week and the 2016 allocated funds are lost. Post-election and pre-inauguration, we seek to offer a safe place for all people to gather, share, and strategize for how best to advocate for and build a non-violent community of support and justice. You’re invited to join us in sharing, praying, and strategizing advocacy action Wednesday evenings from 7:30-8:30pm on December 14, and 28, and January 4 and 11. This is right after Wednesday Evening Worship. You’re invited to join for both, just worship, or just this community gathering. Everyone is welcome. The first week the gathered group discussed their answers to the following questions: What concerns you in light of the elections? and, What faith values or Bible passages help you address these concerns? Last week we address the questions: What organizations do you feel will need additional support? and, What advocacy actions might you take as an individual or we take as a church? If you can't be with us on Wednesday evenings, we would still love to hear your answers. We invite you to respond here. LaMP is a joint ministry by Lutherans, Methodists, and Presbyterians for college students based in the Morningside Heights/Columbia University area. 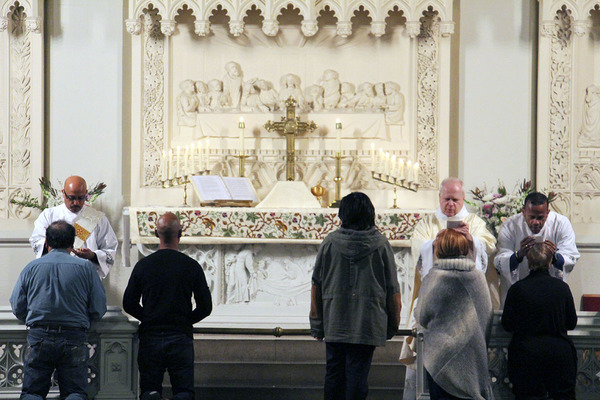 Advent is one of three congregations that does joint outreach to college and graduate students on the Upper Westside through LaMP campus ministry. We're the "L" in LaMP. The "M" is for Methodist (St. Andrew United Methodist Church) and the "P" is for Presbyterian (Broadway Presbyterian Church). For the past two years during finals time, LaMP has hosted a midnight pancake study break at Broadway Presbyterian Church on Broadway at 114th Street that has been attended by over 200 students. We need some volunteers to help cook pancakes, greet people at the door, set up and clean up at their upcoming Pancake Study Break tomorrow night (Tuesday, December 13) from 11pm-1am. If you are a student, come out for some pancakes tomorrow night as we support you in this stressful time of study! What ministry or group will you be involved in this month? There are even more ways to connect in fellowship and service this December!